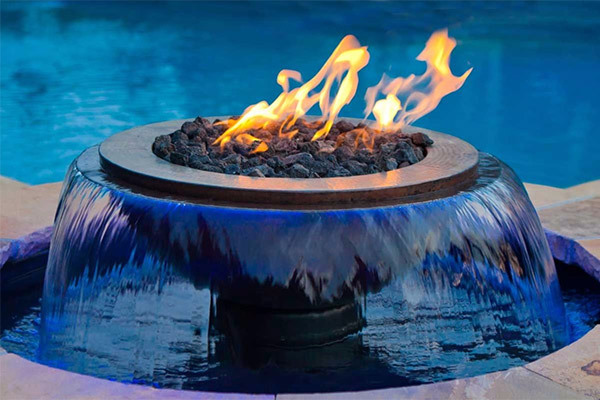 Perfect for any residential or commercial setting, these innovative fire and water effects add the sound of soothing water and beautiful blue LED lights to the warmth and romance of fire. 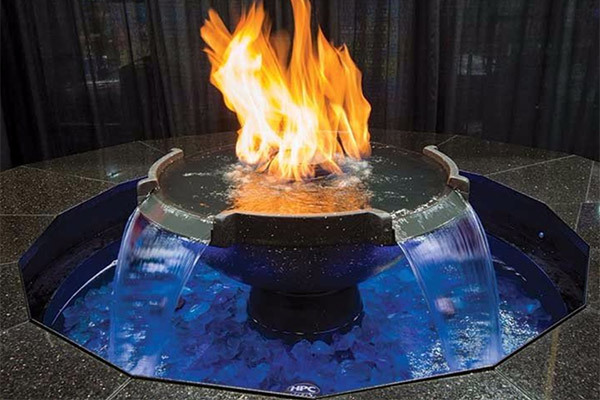 They arrive fully assembled with a self-contained filtrated water system and wall switch control of fire, water, and lights. 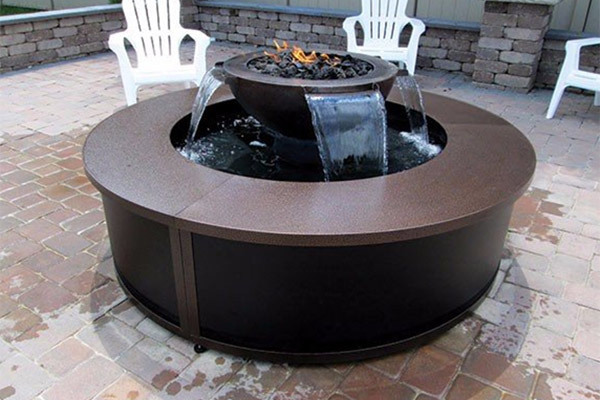 Just level the basin and connect the water, electric, and gas.